With the overflow of fitness apps in the market, it is extremely difficult to select the apt one to take forward a workout regime. 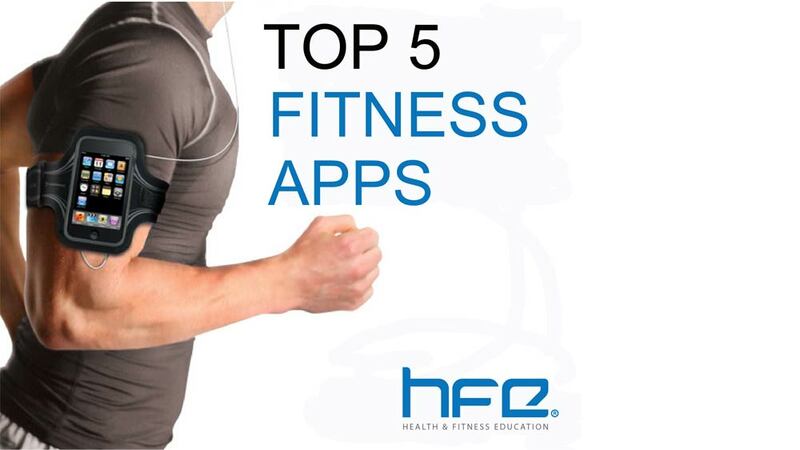 To resolve the issue of selecting the right apps to kick a healthy routine, research arm MindShift Metrics has analaysed these Top 5 Android Fitness apps which may encourage and help the users to make their own fitness routine. 1. Myfitnesspal is a fitness application that tracks users’ diet and helps keep a count of ones’ exercise pattern and calorie intake. The app tracks calorie intake and exercise pattern of the user and provides information with regards to a food item and its calorie content. Over 5,000,000 food database, barcode scanner to track food, automatic sync-up of Web and mobile versions to keep an updated personal diary for users are the few highlight points of the apps. Downloaded by about 10 million fitness enthusiasts so far, the app has bagged 4.6 rating out of 5. 2. Runtastic provides sports tracking and management solution for all, regardless of age and workout experience. Designed to simple facilitate fitness freaks, the app maps workouts with GPS and monitors exercise progress. It has a personal workout diary which provides advanced statistics and graphs. The app showcases the users’ live workouts in 3D with the help of Google earth. Individual can set calorie, distance or pace goal to optimize training and can listen to music via the app from music library or other services like Spotify, Pandora, SoundCloud within the app. The app may also control with android wear and provides post-exercise summary. The app is downloaded by about 10 million fitness enthusiasts so far and has bagged 4.5 rating out of 5. The app is downloaded by about 10 million fitness enthusiasts so far and has bagged 4.2 rating out of 5. 4. Google Fit is a health-tracking platform developed by Google. Google Fit uses sensors in a user's mobile device or activity tracker to record physical fitness activities like walking or cycling, which are measured against the user's fitness goals to provide a comprehensive view of their fitness. The calorie and exercise tracker also sets goals based on calories distance or duration. It connects third party devices and apps to Fit and every fitness data will be stored in Google Fit. The app is downloaded by about 5 million fitness enthusiasts and has bagged 4 rating out of 5. 5. Virtuagym Fitness-Home & Gym is equipped with over 2500 exercises and many pre-made workouts which can be done at home or in the gym. It contains a 3D—animated personal trainer and a continuously growing exercise database. It also helps in tracking workouts and calories and shares information on ideal intake of calories. The app consists of written exercise instructions and provides workout reminders. The users of the app may earn rewards for exercising, tracks users progress and set personal goals. The app is downloaded by 5 million users and has bagged 4.1 rating out of 5. MindShift Recommendations: Myfitnesspal and Runtastic are the most consumer preferred apps due to their easy user interface and unique features. Myfitnesspal and Google Fit are the most preferred apps for marketers due to the multiple advertising options they provide along with the fact that they do not provide Paid versions (which restrict ads). Integration with other apps is a nice way to retain the attention of the users on the app for a long time. Eg. ‘Runtastic’ allows users to play other services like Spotify, Pandora, SoundCloud within the app. Also music adds the entertainment value to the entire user experience. Naturals salon extending global operations..